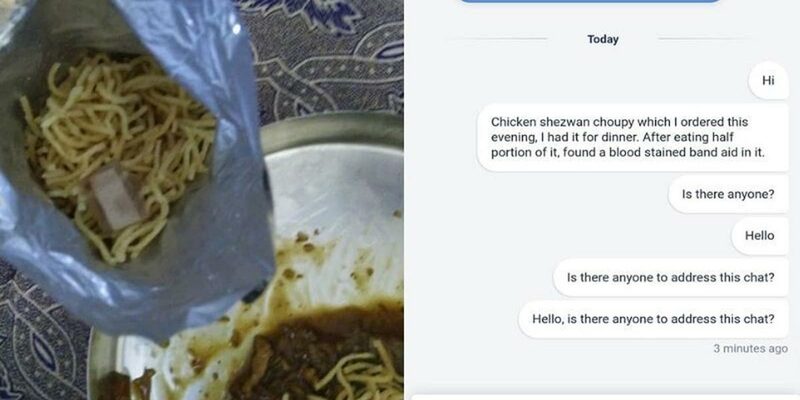 A Chennai-based customer of the food-aggregator app Swiggy found a blood-stained bandage in his food packet on Sunday. After eating half of the noodles, he found the bandage lying in the packet. 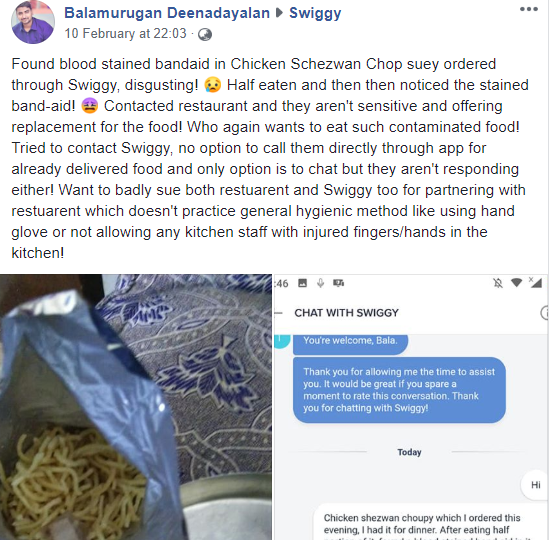 In a shocking case reported, a city-based customer of the food-aggregator app Swiggy found a blood-stained bandage in his food packet on Sunday. However, Swiggy has suspended the outlet from its list. The web-portal The News Minute (TNM) reported, the complainant was identified as Balamurugan, who had ordered food from a restaurant in Selaiyur. The complainant after eating half of his noodles found that a blood-stained bandage was lurking in the packet. Meanwhile, Balamurugan also added that he hoped he has raied awareness among other users of the app from his post. And he further expects from the aggregator to corrective measures. However, Swiggy has responded to his Facebook post and mentioned that they wiill investigate the matter and will get back to him. However, responding to the complaint, Swiggy has suspended the outlet from its list.